“Love Looks Not With The Eyes,” a glorious book looking back at the genius career and legacy of Lee Alexander McQueen. Coming to Bond 07 by Selima, image maker Anne Deniau celebrates the legacy of designer Alexander McQueen. Season after season, Lee Alexander McQueen was a definer of drama. Equally haute and haunting, the looks shook traditional avant garde approaches for the fearless female. For McQueen, his ideal girl could rock both a kitten heel and the designer’s daunting Armadillo footwear without breaking a sweat. Whether it’s a hologram of Kate Moss or a rainshower on the runway, McQueen kept us on the edge of our seats. Bold black and white photos relive McQueen’s eye-catching collections on the catwalk, which to take our breath away in Anne Deniau’s photo book Love Looks Not With The Eyes. The photographer’s exclusive raw runway portrayals reveal models teetering backstage or as his SS05 chess pieces while the designer looks on. Arriving to Bond 07 via Selima Salaun, Deniau’s once in a lifetime NYC book signing brings backstage to the masses. The photographer’s pictures reminds us why the world of McQueen is pure magic, and that the designer’s creations will always stay on top. Her first and only signing in NYC will be at Bond 07 by Selima, 7 Bond st. Nyc 10012 on June 11th from 6 to 8pm. Deniau has been spotted across town, in McQueen of course, recently at the The World Chess Hall of Fame and Christie’s Auction House preview of “A Queen Within: Adorned Archetypes, Fashion, and Chess” alongside Sofia Hedman. Deniau’s photo book bonds the past and present, making Salaun’s eclectic Bond 07 boutique a perfect location to present the book signing. A Paris trained optometrist and optician, Salaun’s quirky eyewear has caught the attention of mega stars such as Madonna, Liv Tyler, and Bono. A member of the CDFA, Salaun has numerous shops from NYC to LA to Paris, so you’ll look striking in any city. 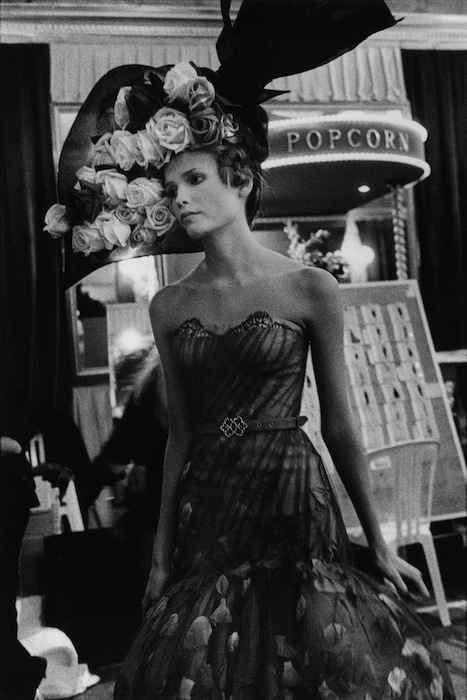 fdmLOVES selects from Alexander McQueen by Anne Deniau by Brigitte Segura, written by Mary Anderson.